Howling Cow Cafe at night under a crescent moon. 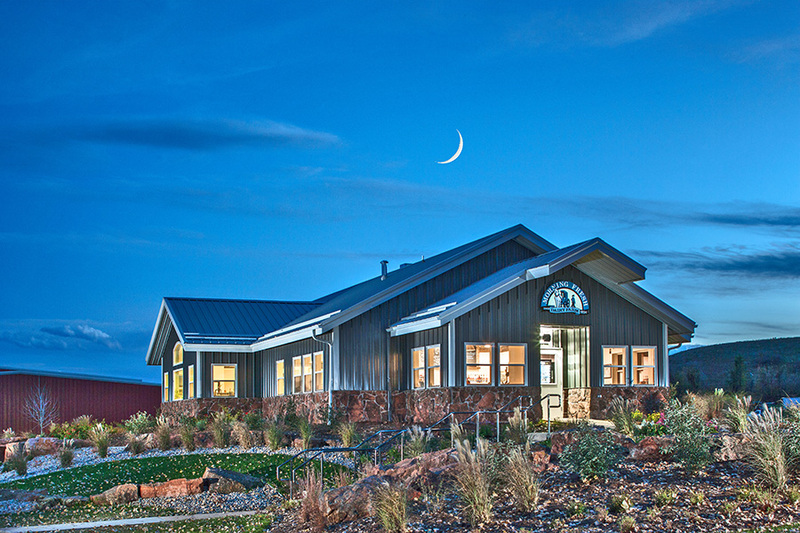 The Howling Cow Café is located right on our farm! Come visit us and enjoy delicious espresso drinks, sweet treats, bagel sandwiches, and more. Our outside patio, walking paths, and green space in the country make for a great destination for a bike ride or an outing with the kids. We love having guests out on the farm. Sample all of our Morning Fresh milk products! Come see why our cows are so happy!